Director General of the Guyana Civil Aviation Authority, Retired Lt.Col. Egbert Field. 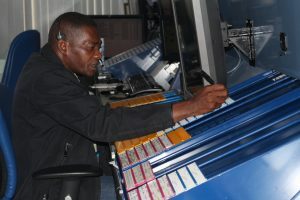 As Guyana joins the rest of the world in observing World Air Traffic Controllers Day, the Director General of the Guyana Civil Aviation Authority (GCCA), Retired Lt. Col. Egbert Field said that entity is preparing for the growth of the country’s oil and gas sector. “With the imminent rise of the Oil and Gas Sector on our horizon, the challenge for the GCAA is to ensure that the expected expansion in air traffic can be met safely and efficiently whilst keeping costs down and ensuring growth in the sector,” he said in a message to mark the occasion. 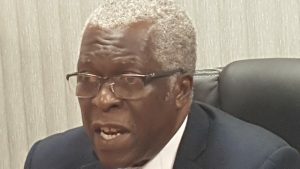 Field has previously stated that a number of companies have been applying for licences to operate aircraft to and from and within Guyana, as petroleum sector operations kick off here. Following is the full text of the GCAA Director General’s message in observance of World Air Traffic Controllers Day. 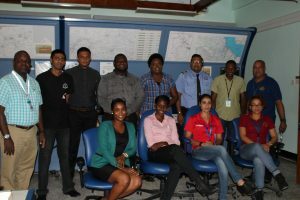 The Guyana Civil Aviation Authority (GCAA) joins with the rest of the world to celebrate the International Day of Air Traffic Controllers. As Director General of the GCAA, I join with the other Directors within the Authority to pay tribute to the work done by our Air Traffic Controllers (ATCs) in Guyana. The work done by Air Traffic Controllers often goes unnoticed, but their role within the aviation sector is no less important than that of the Pilot or the Aircraft Maintenance Engineer. On a daily basis more than 1700 passengers takes to the skies in Guyana, visiting different countries and experiencing different cultures. Those flights moving passengers and goods are guided safely through the skies by our Air Traffic Controller Officers. Flight crews are responsible for passengers and cargo load on any flights, but those flights depends heavily on the professionalism of air traffic controllers, the systems they use and all the people behind the scenes who make the journey safe, secure and unique. Air travel has transformed our lives, bringing unrivalled benefits to society and the business world. With the imminent rise of the Oil and Gas Sector on our horizon, the challenge for the GCAA is to ensure that the expected expansion in air traffic can be met safely and efficiently whilst keeping costs down and ensuring growth in the sector. Air traffic controllers play a key role in achieving these challenges and moving forward towards a safe and secure aviation sector. 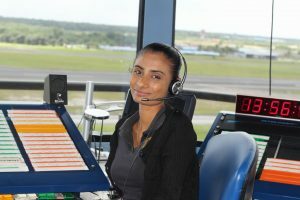 The GCAA is also blessed to have the first female Air Traffic Controller, Ms. Paula McAdam still in our employ. Ms. McAdam is now the Director for Accident and Investigations Group. Ms. Chaitrani Heeralall, Director for Corporate Development joined the Air Navigation Services at a young age. These women have dedicated their lives to the development of aviation in Guyana. Today, the Civil Aviation Training School (CATS) is fully Certified by the International Civil Aviation Organisation (ICAO) as an institute to provide world class training to persons desirous of becoming an Air Traffic Controller. With all modern equipment including a flight simulator, CATS is fully equipped to provide training of the highest standard for ATCs. As we look towards the future of aviation, the GCAA continues to build capacity through continuous training of our Officers, and stands ready to confront the challenges ahead of us as we look at safety from the ground up. Happy International Air Traffic Controllers Day to all our ATC Officers.